Home » Blog » Dr. Stephen Blake just published his 4th book and it is up on Amazon.com as we speak! Why is Dr. Blake aka Medicine Man Jumping for JOY? Today is day 273 of the year 2018, the best day in the history of this world we call planet Earth and guess what Medicine Man has to share today? 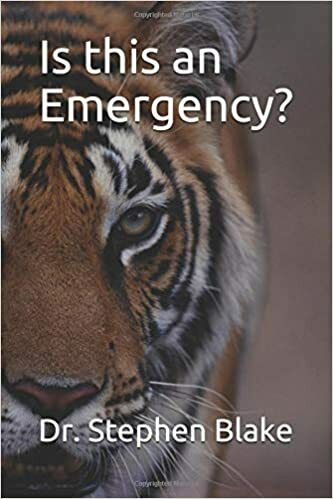 He finished his 4th book, Is this an Emergency? and it is up and available on Amazon.com . This book has been in his head for over 30 years and now it is in print. All 4 of his books are on Amazon.com in paperback or e-books. Here is a description of what the book is about. Please share my words with all you know and you will save lives.